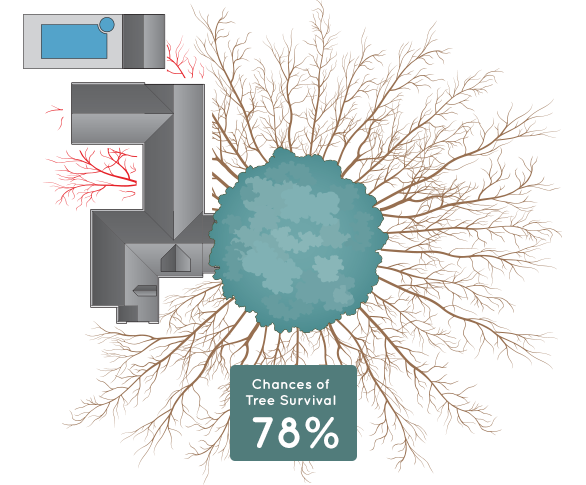 The new root plotter automatically manipulates a tree's anticipated root zone around pre-existing structures, giving you a more accurate survival score faster. Mature Size We categorize trees in four levels of height, ranging from ornamental to large. Selecting the right tree height is essential for long-term planning for your commercial or residential project. Sun Demands Trees range from taking full sun, to thriving only in mostly shade. 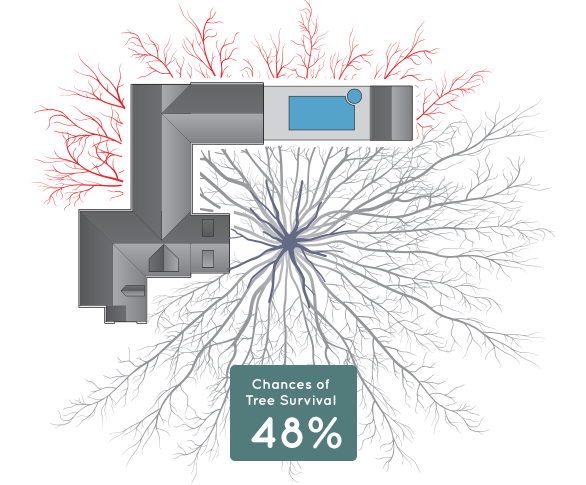 Knowing the right tree for your sun conditions will ensure you are not replacing it in five years. Growth Rate Different species have drastically different growth rates. Fitting the right growth rate to your needs can help avoid a lot of headaches down the road. 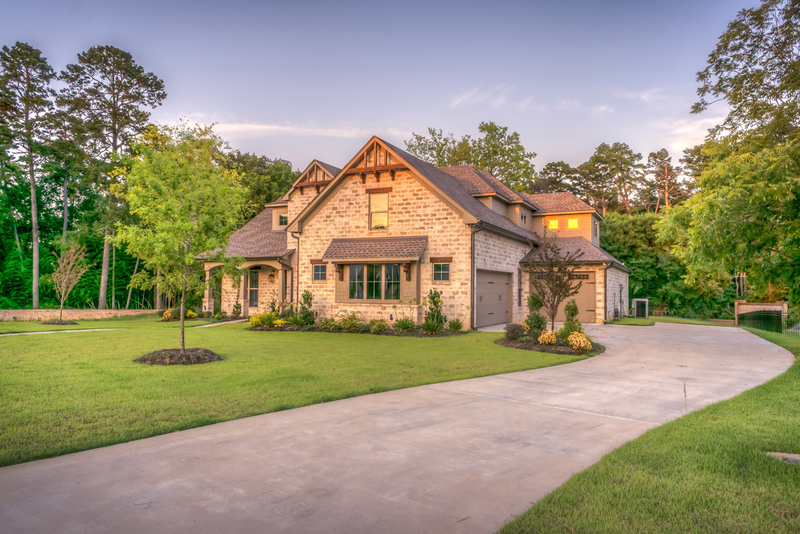 Planting Conditions Accurately measuring the available rooting area is one of the most important factors in keeping your trees healthy for years to come. 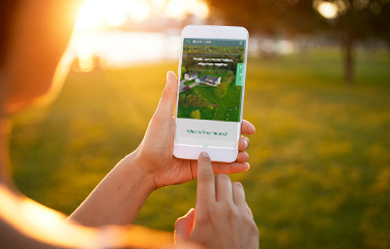 Our Landscape Planning Tool is easy to access through any mobile device. Are you a future tree preserver and currently enrolled in an accredited college or university? We offer students with a valid .edu email address a 70% discount. Are you interested in learning about bulk pricing for your company or organization? We offer discounts for our enterprise-level customers. Please contact us today to speak with a member of our sales team. 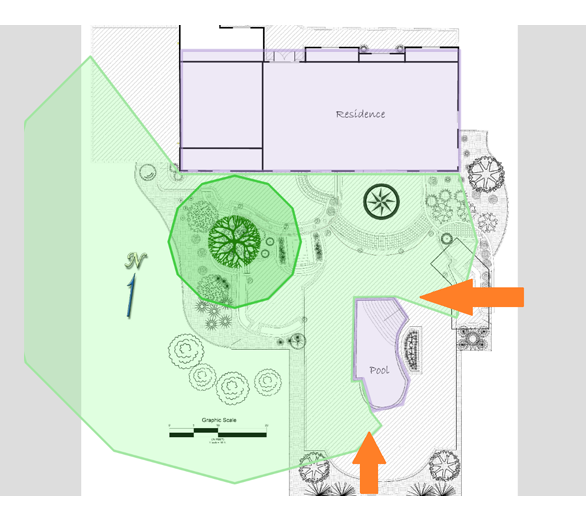 We can review your site plans for an additional cost. Please contact us for more details about this service. Ready to save a tree? We’d love to help.